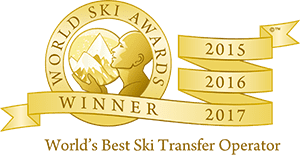 Ski-Lifts offer a selection of Scheduled Shuttle transfers from Geneva Airport & Grenoble Airport and the train stations of Bourg St Maurice, Moutiers and Aime to the resorts in the Espace Killy, Paradiski and 3-Valleys. 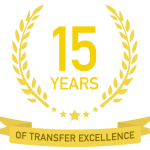 These transfers run like a bus and they are a great cheap transfer alternative. Our scheduled shuttles run to a timetable and run from Geneva and Grenoble airports on a Saturday and Sunday during the winter season. We ask that you check the timetable below carefully to ensure that there is a transfer available matching your flight time. You should consider the time it takes to travel through baggage collection and customs, on arrival before you would meet the transfer. For the departure transfer, you must obviously consider if there is a shuttle to get you to the airport or train station in plenty of time for your check-in. The times for the transfers to the airport are the estimated time of arrival at the airport – we confirm an exact pickup time by SMS text message with you the day before you are due to depart. The Scheduled Shuttle transfer is not door to door, you will be dropped off at a central location in the resort. These locations for each resort are below and if you click on the resort name it will open up a map showing the exact location of the pickup and drop off location.